The 11th Mississippi Volunteer Inf. Reg. 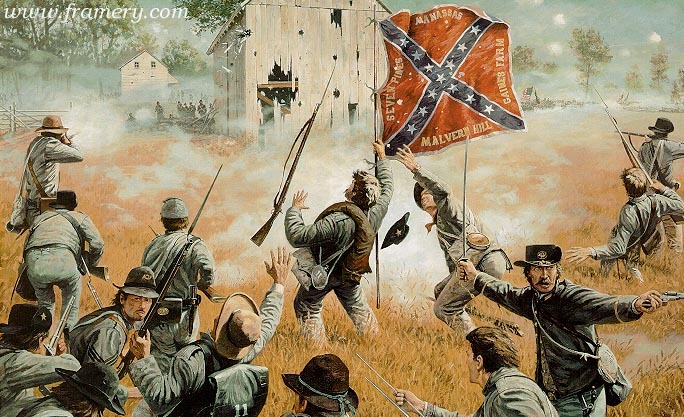 attacks Union defenses during Pickett’s Charge at Gettysburg, July 3, 1863.